Much of what you read in this 3 page article has been disputed by historians who believe that there were scapegoats in the Army and Navy, a few of which are pointed out in the article. And as with 9/11, the story is still not 100% clear. "Stinnett revives another old argument: that Roosevelt knew about the Japanese attack on Pearl Harbor and let it happen. (Even Buchanan did not stoop to this old saw.) A persistent digger, Stinnett has uncovered some nuggets of new evidence, but his most sensational items are premised on the false belief that American intelligence had broken the Japanese naval code before the attack. In fact, it was not decrypted until after Pearl Harbor. Aside from questioning the competence and honesty of two officers in U.S. naval intelligence (in a case concerning the Japanese fleet’s radio silence and U.S. radio direction-finding), the book offers little new. Stinnett never fashions his nuggets of research into a coherent argument, much less a convincing portrait. It is odd that an otherwise respectable publisher did not insist on such coherence before peddling this book with its sensational press release. If Roosevelt was indeed maneuvering to have a war forced on the United States, his maneuvers were aimed at Germany rather than Japan, which he and Churchill simply hoped to deter. Pearl Harbor demonstrated their misjudgments, not their shrewdness." "Yet military history is full of surprises, even if few are as dramatic or as memorable as Pearl Harbor. Surprise happens so often that it’s surprising that we’re still surprised by it. Very few of these surprises are the product of simple blindness or simple stupidity. Almost always there have been warnings and signals that have been missed–sometimes because there were just too many warnings to pick the right one out, sometimes because of what one scholar of Pearl Harbor called “a poverty of expectations”—a routine obsession with a few familiar dangers." "Wolfowitz: We were having a meeting in my office. Someone said a plane had hit the World Trade Center. Then we turned on the television and we started seeing the shots of the second plane hitting, and this is the way I remember it. It’s a little fuzzy. Wolfowitz: There didn’t seem to be much to do about it immediately and we went on with whatever the meeting was. Then the whole building shook. I have to confess my first reaction was an earthquake. I didn’t put the two things together in my mind. Rumsfeld did instantly." Michael Fury on Wed, 12/07/2011 - 1:30pm. Joe on Wed, 12/07/2011 - 3:06pm. December 06, 2011 "Information Clearing House" -- On Dec. 8, 1941, Franklin Roosevelt took the rostrum before a joint session of Congress to ask for a declaration of war on Japan. Said ex-President Herbert Hoover, Republican statesman of the day, "We have only one job to do now, and that is to defeat Japan." But to friends, "the Chief" sent another message: "You and I know that this continuous putting pins in rattlesnakes finally got this country bit." Today, 70 years after Pearl Harbor, a remarkable secret history, written from 1943 to 1963, has come to light. It is Hoover's explanation of what happened before, during and after the world war that may prove yet the death knell of the West. Edited by historian George Nash, "Freedom Betrayed: Herbert Hoover's History of the Second World War and Its Aftermath" is a searing indictment of FDR and the men around him as politicians who lied prodigiously about their desire to keep America out of war, even as they took one deliberate step after another to take us into war. Yet the book is no polemic. 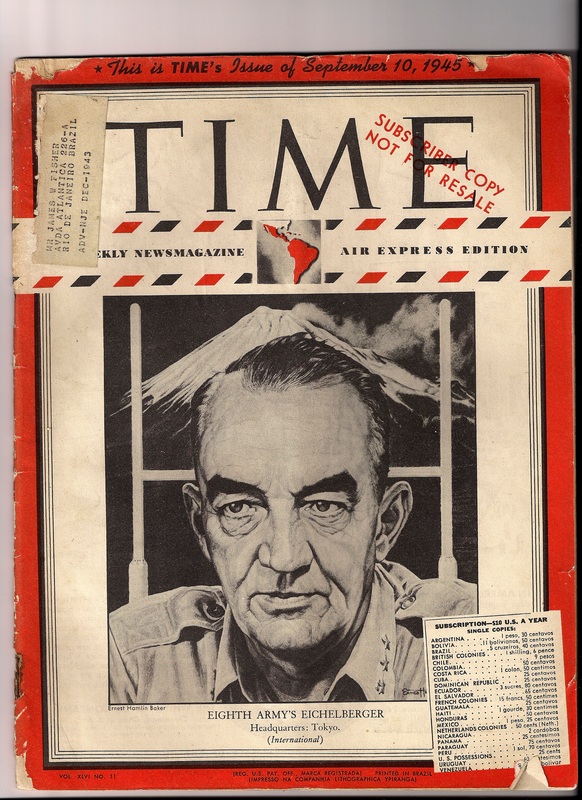 The 50-page run-up to the war in the Pacific uses memoirs and documents from all sides to prove Hoover's indictment. And perhaps the best way to show the power of this book is the way Hoover does it — chronologically, painstakingly, week by week. Consider Japan's situation in the summer of 1941. Bogged down in a four year war in China she could neither win nor end, having moved into French Indochina, Japan saw herself as near the end of her tether. The "pro-Anglo-Saxon" camp included the navy, whose officers had fought alongside the U.S. and Royal navies in World War I, while the war party was centered on the army, Gen. Hideki Tojo and Foreign Minister Yosuke Matsuoka, a bitter anti-American. On July 18, 1941, Konoye ousted Matsuoka, replacing him with the "pro-Anglo-Saxon" Adm. Teijiro Toyoda. U.S. Ambassador Joseph Grew implored Washington not to ignore Konoye's offer, that the prince had convinced him an agreement could be reached on Japanese withdrawal from Indochina and South and Central China. Out of fear of Mao's armies and Stalin's Russia, Tokyo wanted to hold a buffer in North China. On Aug. 28, Japan's ambassador in Washington presented FDR a personal letter from Konoye imploring him to meet. Tokyo begged us to keep Konoye's offer secret, as the revelation of a Japanese prime minister's offering to cross the Pacific to talk to an American president could imperil his government. On Sept. 29, Grew sent what Hoover describes as a "prayer" to the president not to let this chance for peace pass by. On Sept. 30, Grew wrote Washington, "Konoye's warship is ready waiting to take him to Honolulu, Alaska or anyplace designated by the president." No response. On Oct. 16, Konoye's cabinet fell. At a Nov. 25 meeting of FDR's war council, Secretary of War Henry Stimson's notes speak of the prevailing consensus: "The question was how we should maneuver them (the Japanese) into ... firing the first shot without allowing too much danger to ourselves." "We can wipe the Japanese off the map in three months," wrote Navy Secretary Frank Knox. If you would know the history that made our world, spend a week with Mr. Hoover's book. Patrick J. Buchanan is the author of "Suicide of a Superpower: Will America Survive to 2025? "To find out more about Patrick Buchanan and read features by other Creators Syndicate writers and cartoonists, visit the Creators Syndicate Web page at www.creators.com. Joe on Wed, 12/07/2011 - 3:21pm. warning of a coming Japanese strike (a little down the page). Kevin O on Wed, 12/07/2011 - 4:00pm. scubadiver on Wed, 12/07/2011 - 4:54pm. A now deceased Canadian WWII secret agent, Clifton Stewart, told the CBC in an interview about his intelligence work in WWII that the US had notice 8 days in advance of an upcoming Pearl Harbor attack but purposely chose to ignore the warning in order to stir up war fever in the US population. Here is a link to an audio of the interview he granted to the Canadian broadcaster, the CBC. Listen around the 20 minute mark onwards. stewball on Wed, 12/07/2011 - 5:23pm.